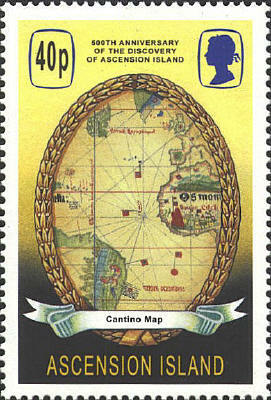 The stamp from Mauritius shows an area of Cantino's map in the southwest Indian Ocean, centered on Madagascar. 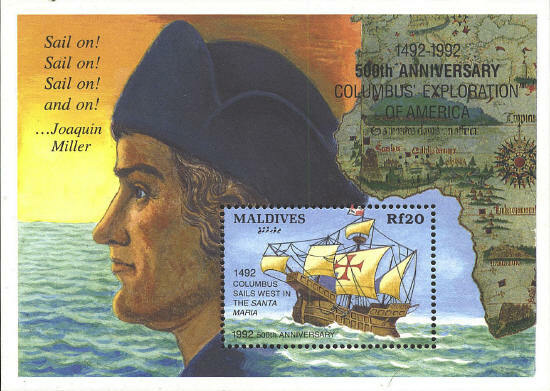 Mauritius, one of the Mascarene Islands,lies approximately 600 miles due east of Madagascar on latitude 20°S. Both Madagascar and Mauritius are shown in conventionalized shapes.